The black hat and gray SEO communities are buzzing about Google's latest efforts to target PBNs, Private Blog Networks. 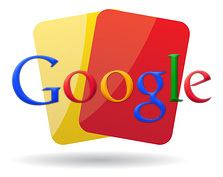 Over the past couple days, Google has reportedly went after many PBNs that are being used to manipulate their rankings. Google has sent out hundreds, if not thousands, of manual action notifications to those participating in these networks. Bill Lambert posted a comment on this blog saying there is a "massive private blog network update going on." He added this is a "complete slaughter fest." BlackHatWorld has comments from some of those who lead PBNs, obviously trying to downplay the impact but they do admit it is going on. Yes, I'm aware of the current wave of PBN de-indexation. I have quite a few friends in this industry who got totally destroyed and I also know folks with the shittiest possible PBN content ever out there whose networks are totally intact. Even though there is no doubt that Google is taking serious action against webmasters who are hitting it big with PBNs, either promoting their own money sites or running services, I don't believe the end of PBNs is somewhere near. NOT EVEN CLOSE. Greg Nunan has a more detailed blog post on the de-indexing of these PBNs. 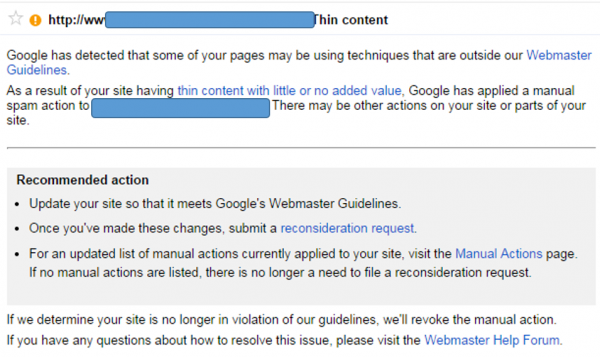 He said many sites are receiving "thin content" warnings via Google Webmaster Tools. Have you been hit by this? Google has not confirmed or denied these reports but they likely would not confirm or deny them if I asked. Update: Here is another site hit by this manual action.